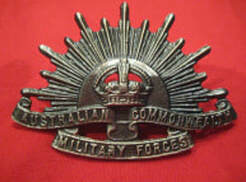 Reproduction of the Australian WWI/WWII Rising Sun hat badge with pin backs. Reproduction of the Australian Rising Sun Collar Dogs. 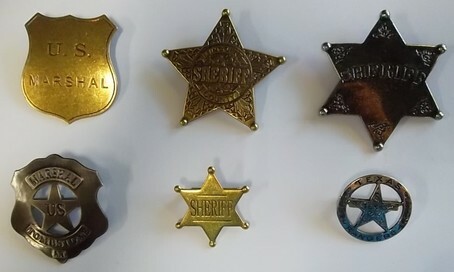 With pin backs. 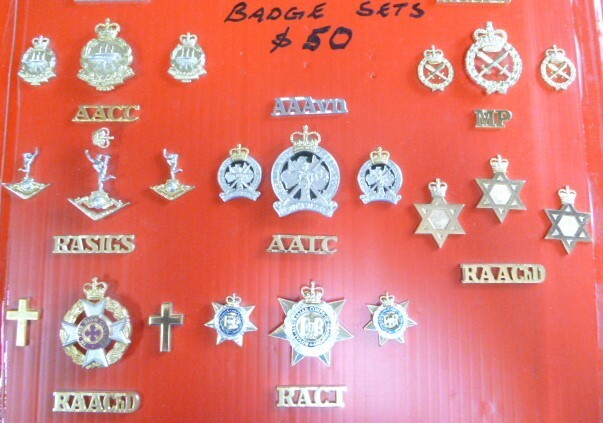 Reproductions of the "Australia" shoulder titles worn by Aussie soldiers during WWI and WWII. 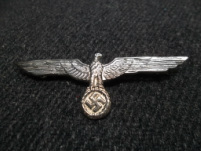 Incredibly high quality Wehrmacht Eagle “Silver Plate” Badge. Die struck one-piece construction. Very best quality reproduction on the market today. Worn above the right breast pocket on multiple wehrmacht (German Army) uniforms. Exacting precision detail replicated from an original badge. These die struck pieces are exquisitely detailed and feature correct style pins in the old style, matte finish. The extraordinary rare SS Officer’s Dress Insignia rivals originals in quality with its sharp details, correct style pin back and burnished ‘altsibler (antique silver) traditional finish. Very best quality reproduction on the market today features a Skull & Crossbones with banner that reads "Meine Ehre heißt Treue" (My honour is loyalty). Worn above the right breast pocket on dress SS officer uniforms. Exacting precision detail replicated from an original badge. Incredibly high quality Luftwaffe “Gold Plate” Badge. Die struck one-piece construction. Very best quality reproduction on the market today. Complete that WWII German Luftwaffe uniform today. Ever seen the film “Das Boat”? If so, you’ll recognize this pin. Incredibly high quality kreigsmarine (navy) U-boat (submarine) Metal Badge Die struck one-piece construction. Very best quality reproduction on the market today. Complete your WWII uniform today.